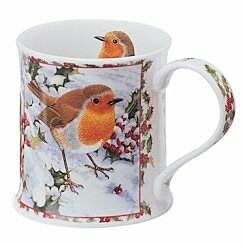 This Dunoon mug is a perfect classic gift for christmas. 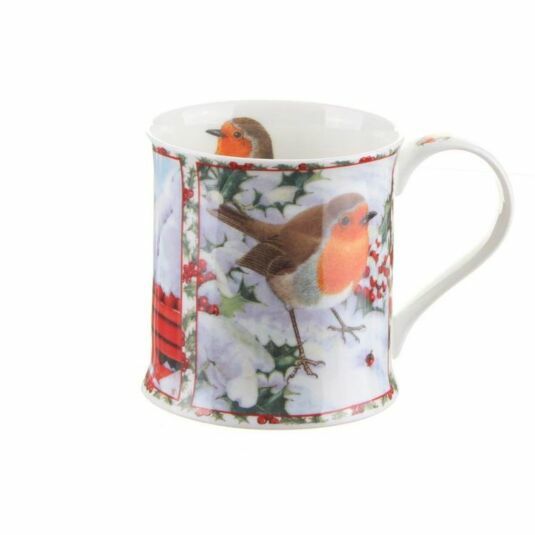 With a joyful robin shown in a beautifully illustrated manner this wessex shaped mug will be hard to resist for your cup of tea at christmas time. These fine bone china mugs have a capacity of 300ml, and a classic shape which feels good to hold. All designs are dishwasher safe and those without metallic inlay are microwave safe.